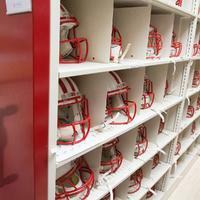 Mobile shelving storage for professional sports teams | Montel Inc. 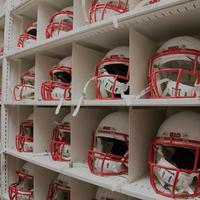 Your professional sports team's busy athletes and staff need safe and accessible storage. 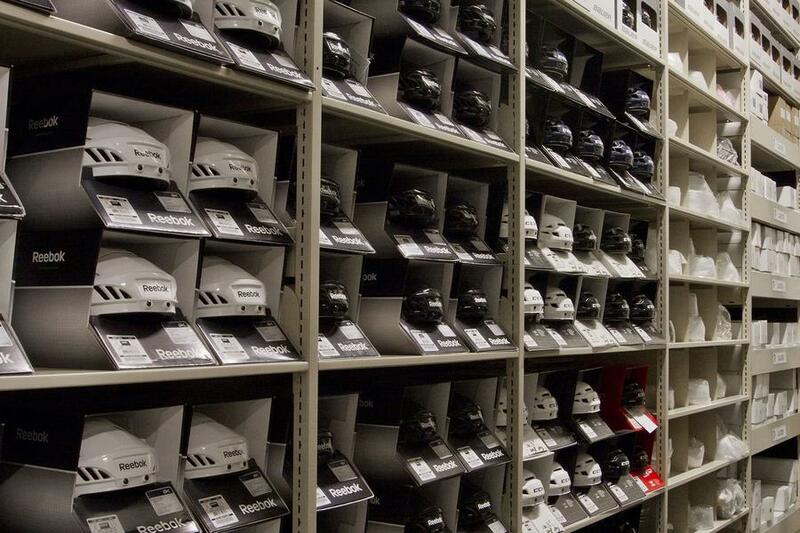 An inaccessible or messy storage system quickly leads to frustration and wasted time. That isn’t going to help you win the championship game! 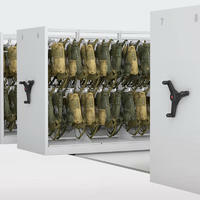 Having the right storage means having a happier and safer team. It also means more room for your gear or supplies. 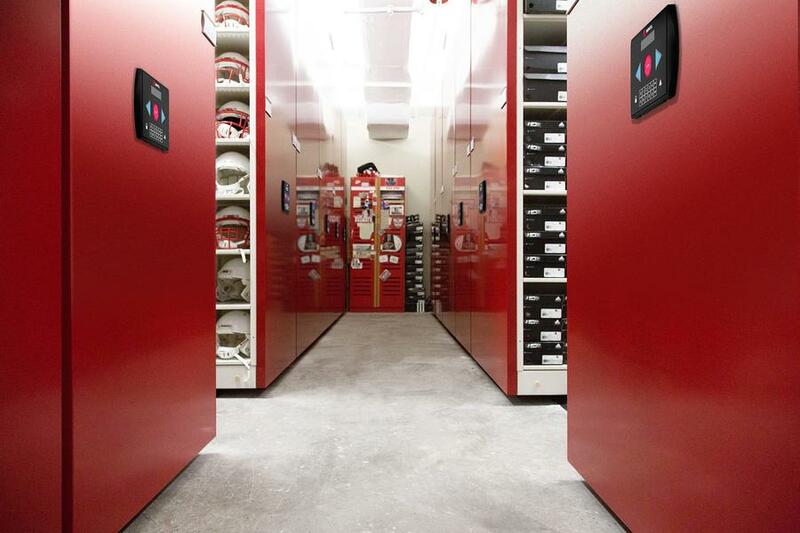 Make a difference for your team and rethink your storage to accommodate all the valuable items that need to be stored. 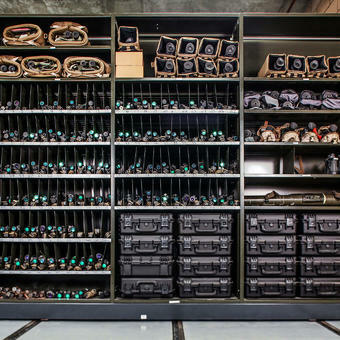 Consolidate your gear in our mobile systems by mounting shelving or cabinets onto a carriage and rail system designed to allocate a place for everything in an organized, accessible and safe way. 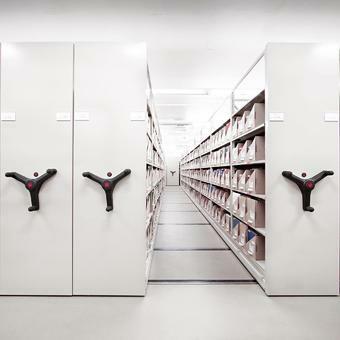 With compact mobile storage, eliminate wasted space, allow for more items to be stored in the same area and provide safe and convenient access for your team and staff. 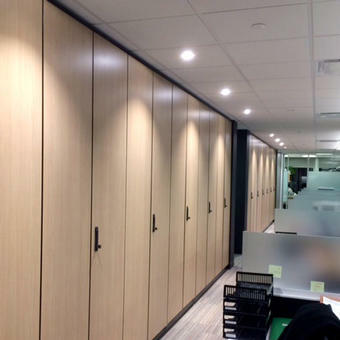 With ample shelf space, bins, dividers and hangers, your new storage area will truly have a place for everything! 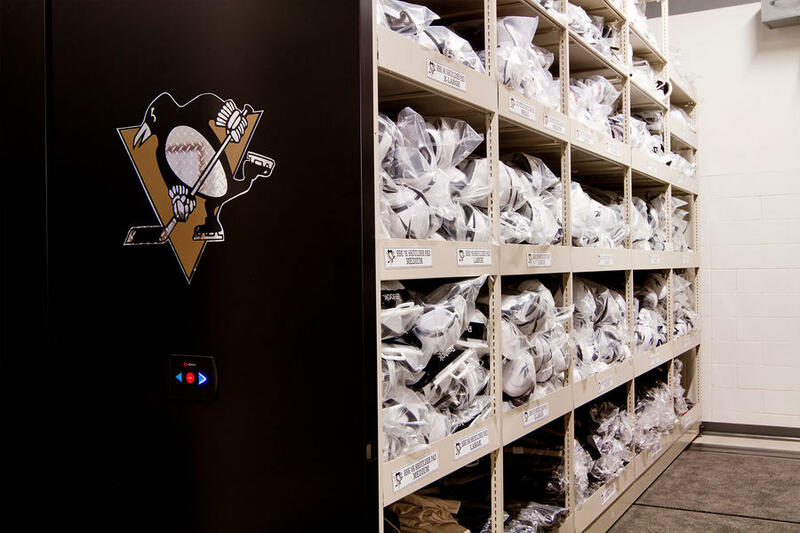 Build a safe, efficient, and attractive sports team storage solutions and let it become a source of pride for your team. Contact us so we can help with the design of your project. A layout efficiency that improves traffic, time and people management.